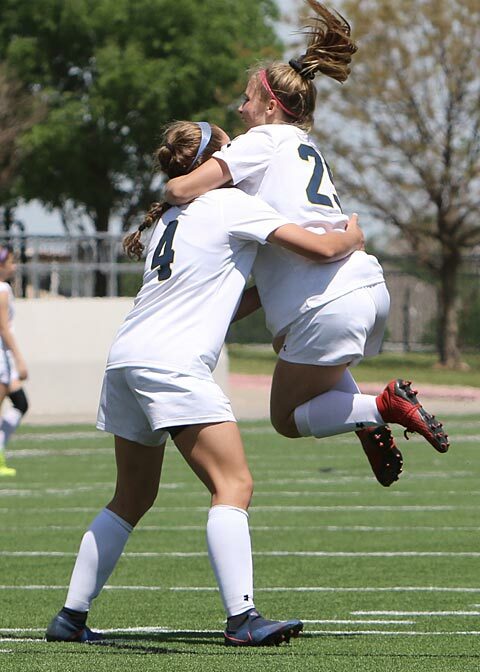 Stephenville’s Honeybee’s wanted no repeat of last year’s unexpected exit from the state soccer playoffs in the regional semifinals and they did not disappoint as they throttled San Elizario 8-1 at Justin Northwest High School Friday. 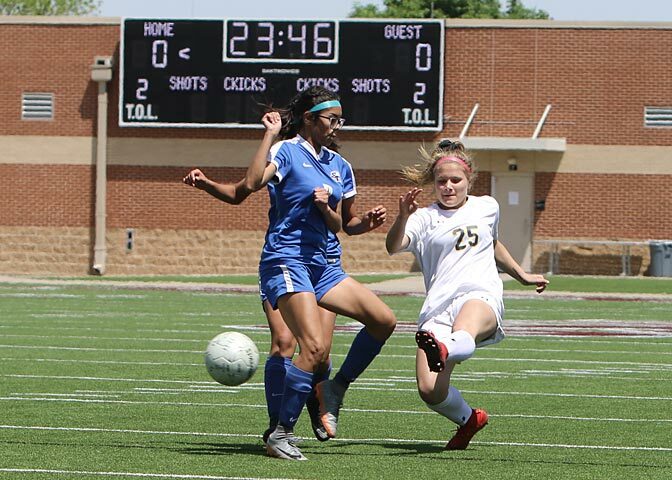 Stephenville 22-1-2 will now take on Castleberry 22-3 for the region one championship at 10 AM Saturday for the right to advance to the state tournament in Georgetown next week. 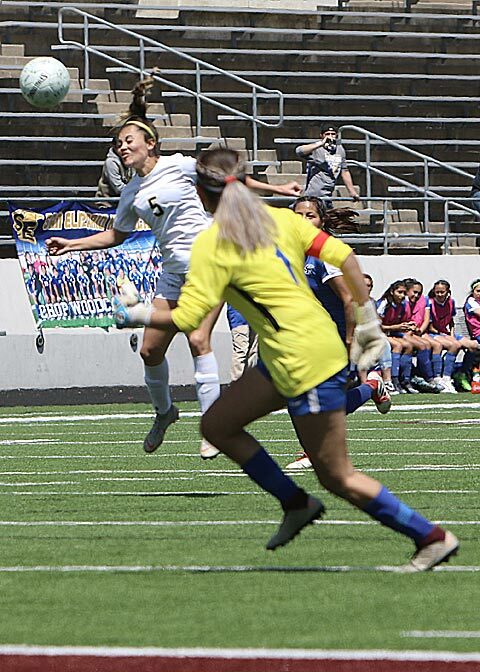 It took Stephenville 16 minutes to figure out the defensive pattern the Lady Eagles were throwing at them, and sophomore Abby Harrison finally broke the ice with two defenders on her attack. 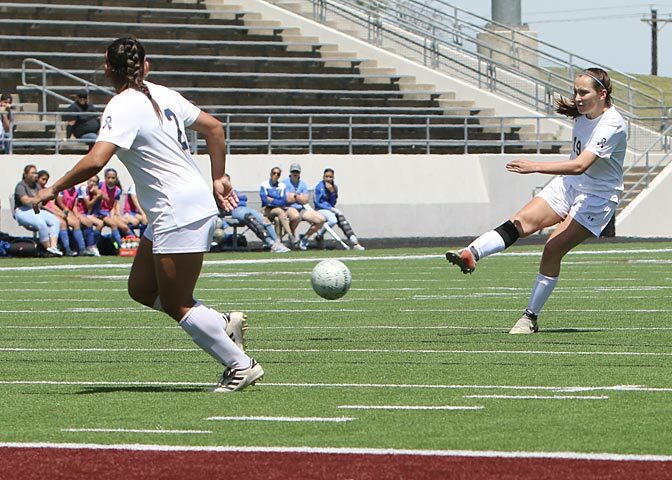 Harrison’s left-footed boot put Stephenville on top 1-0 and was just the beginning of her best varsity game to date as she scored again four minutes later at the 19:43 mark of the first half. 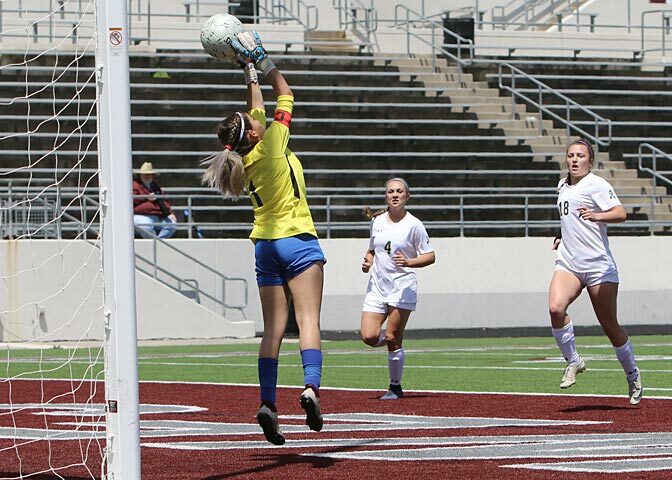 The Lady Eagles’ goalkeeper provided the next scoring opportunity when she elected to kick rather than catch the ball, and Hailey Beam’s header put Stephenville up 5-0. 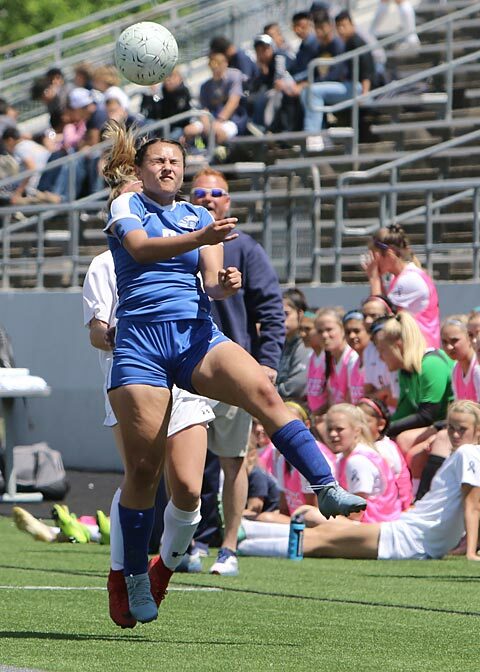 Coach Casey Weil worked in substitutions to keep the rotation fresh in both stanzas, and those fresh legs had Ciera Johnston popping in the next score. 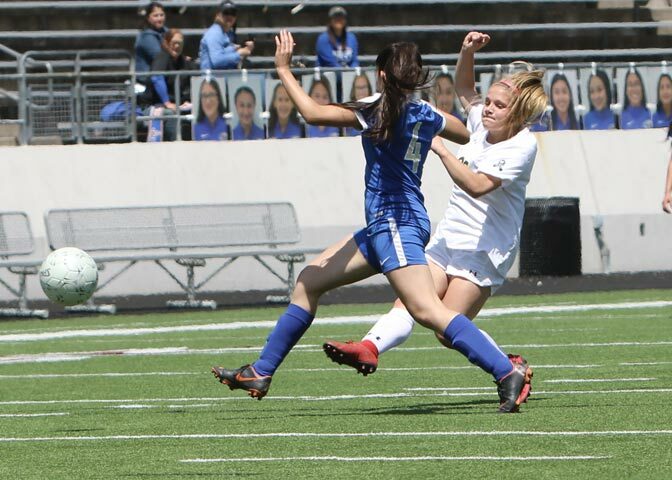 Johnston’s awareness helped lead to making it 7-0 when she threw in the ball to a moving Harrison who crossed the ball to Beam who netted her second goal of the match. 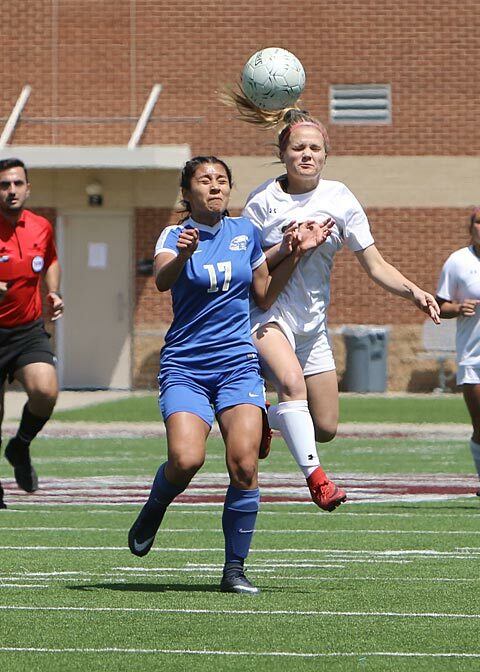 San Elizario scored their only goal midway through the second half and that only motivated Johnston to score in a two-on-one situation to make the final margin 3-1. Castleberry’s record is as shiny as the Bees, and both teams have defeated Brownwood and Kennedale, but Stephenville has done it in finer fashion. 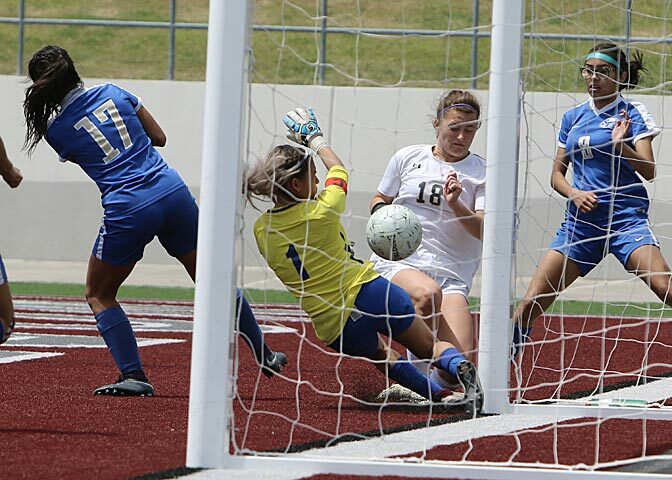 However, the Lady Lions have the Class 4-A playoff-high 11 goals in a single game and have they have scored 17 goals in the playoffs.